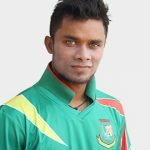 Soumya Sarkar is a Bangladeshi cricketer who knocked a maiden ton against Pakistan in the last match of three match ODI series on April 23, 2015. Now, he is the important player of Bangladesh Cricket Team who regularly opens with Tamim Iqbal. Already, he proved his capability as a successful opener where Bangladesh Team would frequently face trouble. Soumya Sarkar is a Bangladeshi successful all-rounder with left-handed batting style and right-handed arm medium fast blowing style. 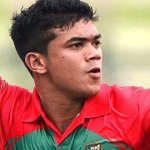 Soumya Sarkar was born on February 25, 1993, in Satkhira, Bangladesh. Kishori Mohan Sarkar is his father. 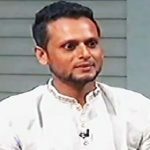 Like other Bangladeshi successful cricketer, he studied BKSP where he learned better cricket. He took part in the under-19 World Cup in 2012 and showed terrific performance in this tournament. In his early life, Soumya Sarkar wanted to be a teacher but fortunately, he build up a career in the cricket world. 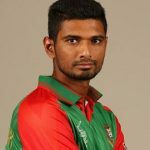 Soumya Sarkar is now an amazing cricketer among the tiger cricket arena who made his debut in the one-day international cricket against Zimbabwe on December 01, 2014. 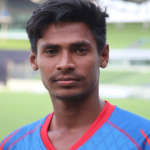 Within very short time, he becomes an important part of Bangladesh Cricket Team and turns himself into a rising star around the cricket world. Soumya Sarkar is a magnificent cricketer who terrifically done well in 2015 World Cup Cricket. After World Cup in home series, he has made a maiden hundred against Pakistan in Mirpur. 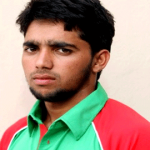 At present, he is a successful top order batsman for Bangladesh Cricket Team. Soumya is so cute.i know who is the would be wife of soumya sarkar.soumyas wife tittle will be “sen”.love u som baby.